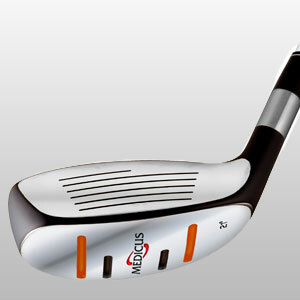 The new Medicus(R) Dual-Hinge(TM) Hybrid gives players a training club that teaches swing plane, path and tempo -- with a performance hybrid club-head and Dual-Hinge(TM) technology. The new Dual-Hinge Hybrid(TM) features a high-performance, modern club head, so practice feels just like the clubs you use on the course. 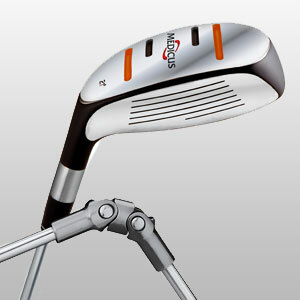 The Dual-Hinge(TM) Hybrid easily translates practice into play. 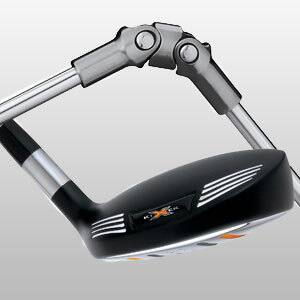 The Dual-Hinge(TM) is adjustable and allows the user to adjust the tension to the desired break point. The Dual-Hinge(TM) Hybrid trains golfers to Swing on-plane and in-tempo for consistent, on-target shots with greater distance.